Sometimes, when we have a dream, we can become blind to the logic, to the easy path. We become so intent that the path into our dream job, our dream life, our dream trip that it will all come together so easily and effortlessly because it feels right. We spend years of our lives pushing against the grain. We become so focussed on the dream that we forget what else is in our peripheral vision. Just because you’ve got the eyes on the prize, doesn’t mean that you need to jump straight there. Sometimes, the smart, less frustrating and easier path is in fact to walk it. Not run it, not take the most direct route, not race to the finish line. Because in the journey to the vision, you get to pick up tools, skills, people, ideas and inspiration along the way. And without those, perhaps your vision will not be complete or perhaps it will not fulfil it’s greatest potential because somehow it needed those experiences. I can attest first hand that being adamant that the only way to achieve a vision is to take the oat direct route. The truth is, sometimes the direct route is arduous. Sometimes, it involves not following a path and trudging through rough terrain so that it feels like you get nowhere fast. What if, instead of going cross country, I took the meandering path that would eventually lead me there anyway? That path is carved, much like a purpose anyway and perhaps along that path, I will gain all that I need to make the vision as clear, as big and as successful as I anticipate it be. Perhaps even more so. And instead of trudging, taking so very long, perhaps it’s an illusion and it turns out the winding track is actually faster and shorter as a result. 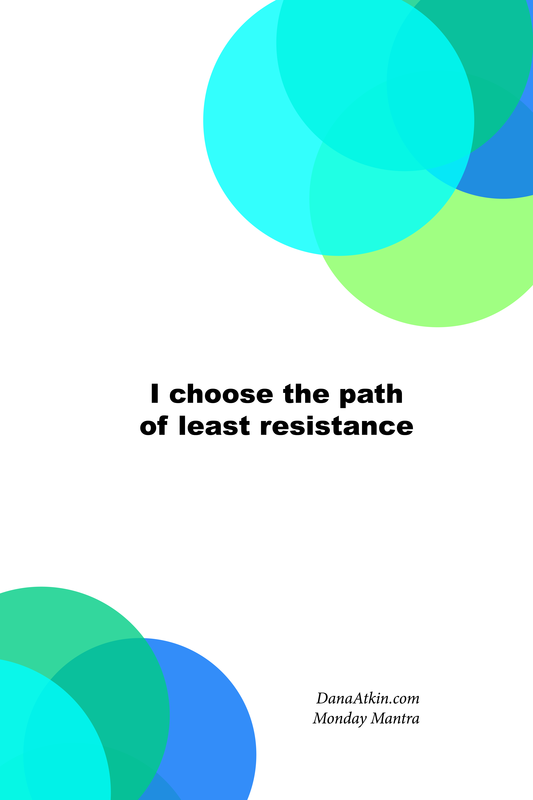 Now, I choose the path of least resistance. Because going with the flow means I get to my dream faster and with way more experience and tools than I could ever imagine possible to help me fulfil my own dreams. In what ways are you resisting your full potential? Where are you choosing the cross country trudging when you could be choosing the easy track and getting there faster?